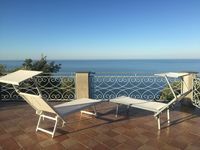 Properties in Minucciano Pieve Casola Station average 4.6 out of 5 stars. *NEW* Romantic villa with private pool in stunning location & panoramic views. Property 1: *NEW* Romantic villa with private pool in stunning location & panoramic views. Romantic Stone Cottage With Private Gated Pool In Riverside Location . Property 5: Romantic Stone Cottage With Private Gated Pool In Riverside Location . Restored Mill, riverside, private pool, WIFI, romantic! Property 6: Restored Mill, riverside, private pool, WIFI, romantic! 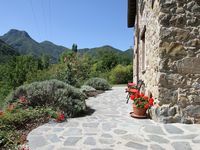 Barga -cottage & barn 6 hctres of land, private pool, WIFI , stunning views! Property 19: Barga -cottage & barn 6 hctres of land, private pool, WIFI , stunning views! Nice holiday apartment with large garden, not far from the sea. Property 25: Nice holiday apartment with large garden, not far from the sea. We stayed at Casa Crescina with three friends and all agreed that the house and grounds were beautiful. We had some pool days of non-stop sunshine, and some days were cooler, with interesting clouds and mist rising from the river below us. The house is quite isolated and, consequently, very private and quiet. Everything is provided for a very comfortable stay. We loved the &quot;Welcome Basket&quot;, and, in addition, there were other basics in the cupboards, which helped with our food preparation. Beds are comfortable, showers hot, and all rooms are beautifully decorated and appointed. The driveway is a bit daunting at first, but becomes easier as each day goes on. Once we discovered the Carrefour in Gragnola we had no problem with shopping. The shop in Monzone is a little limited, but good for emergencies. Our day trip to Lerici was lovely (about an hour away - you have to park in one of the parking lots and walk to the harbor, but it's not too bad.) You can also take the ferry from Lerici to the Cinque Terre, via Portovenere, which we did. It was an easy day out. We also took the train to Lucca from Monzone one day. Takes about 1.5 hours, but a comfortable and interesting ride - only about 8 Euros each way. Lucca is worth a visit. The pool area at Casa Crescina is fabulous. Pool is refreshing, poolside furniture comfortable, and all so private. Claudia and Angelo are available to help if you need anything. Altogether a lovely week spent in an area we have never been to, nor thought about, before - Lunigiana, very untouristy, very natural, very Italian. Not much English spoken, but everyone friendly and fun to communicate with. Excellent communication with owner throughout the booking process. Great directions, information, and recommendations. We thoroughly recommend Casa Crescina.